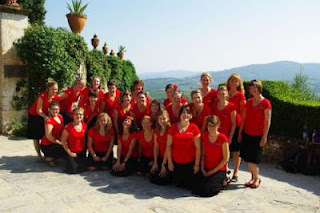 The Choir Girl: Choir Retreat...Finally! I hope you have enjoyed some of my recent Sound and Noise blog posts. It's something I've been trialling because I was presented with an opportunity to contribute some guests posts (Thanks @halfsharpmusic!). I feel like it will allow me to expand my writing range and be exposed to a group of passionate writers. 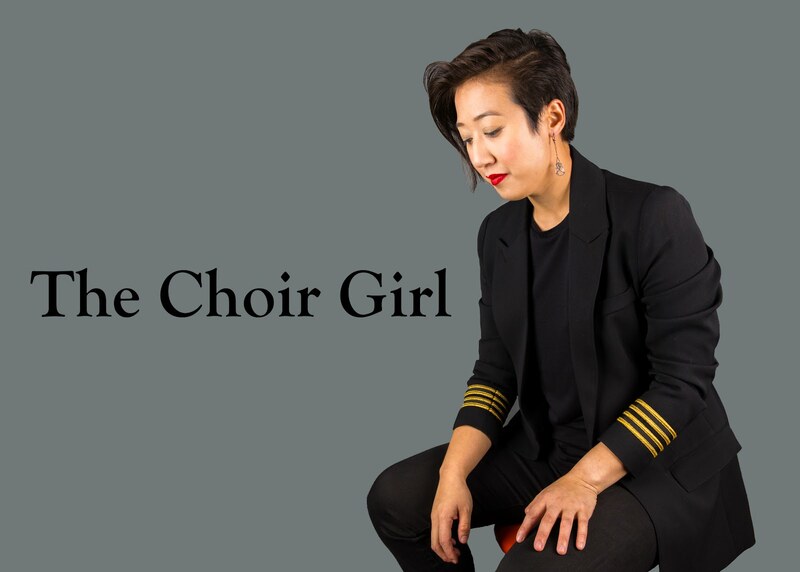 Though I'm still finding a balance between Sound and Noise and my regular choir girl blogging, you can rest assured that my attention will, and always will be, dedicated to this blog. In my guest blogger frenzy over the past weeks, I forgot to post an entry detailing the choir retreat I had with my women's choir, Belle Canto. It probably is of no surprise to you all, but I was super excited to have a solid day of singing. We began rehearsals on Friday night and continued all-day Saturday (with generous breaks for socializing and food.) Our Saturday evening ended off with a 5 course dinner at the Manor Cafe. The wine was plentiful and the white and dark chocolate cheesecake ball dipped in chocolate ganache and rolled in almonds was a decadent and proper way to end a day of singing. Thank-you for indulging me with reading my tangential food note. One thing that was so refreshing during the retreat was that we were finally singing music that we love to sing. I know it does sound a bit ridiculous that we're more than halfway in our season and we're just starting to sing our true repertoire now. In an attempt to provide context and not an excuse, I do think it is due in part to the structure of our season. In the Fall, we have a dessert auction, but we only present 2-3 pieces since the other choirs in the Cantilon program are singing as well. At Christmas, again, the focus is on the younger choirs in the program and more traditional mass Christmas works instead of Belle Canto's own individual repertoire. Then following Christmas, we're busy preparing for our Broadway Gala and singing Oliver! is not like preparing a Brahms piece. Therefore, my internal response to the music we were beginning to rehearse at the retreat was: "Finally!" During the retreat, it was just satisfying to learn some new music as well as have opportunities to hear other singers in the group. We tried some different seating arrangements (sitting in a circle with our conductor in the middle), we had some small group time where we had to work as a mini ensemble to present a piece to the rest of the choir, and we did some sectional work. I really enjoyed the small group time. It gave me a better chance to hear what the singers around me were doing and made me more self-aware and accountable for what I was contributing to the group as well. It's difficult to self-monitor as a singer in the choir because you can't hear what the overall group or section sounds like. Thus, if you're not getting specific feedback in regards to how you're doing, you just continue on the assumption that everything is fine unless you hear otherwise. It's easy to become disengaged and start coasting when this the case. Overall, I'm excited by the repertoire and preparatory process that awaits Belle Canto for the rest of our season. I cannot wait for Podium to arrive; I am going to be going on a massive blogging blitz. I plan to cover sessions, concerts, and potentially conduct some interviews to cross-post on this blog, Sound and Noise, as well as the ACCC Choral Bytes blog. It's going to be a busy time, but I would not have it any other way.